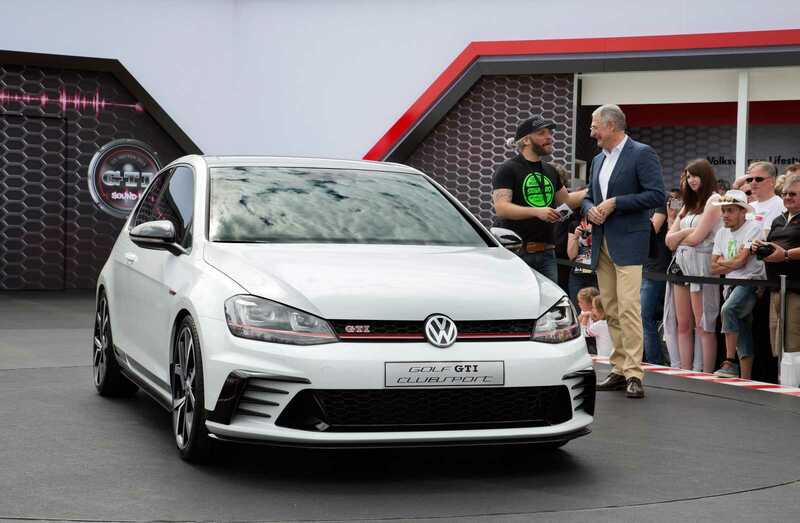 Volkswagen’s Golf GTI Clubsport was unveiled in the Frankfurt Motor Show. With a starting price of £28,000, the new Golf is redesigned for added speed and more robustness. The new VW Golf is reflective of the 40th anniversary of the GTI label and is the 7th generation in the Golf series, which is considered a pioneer in the hatchback reign of the late 70s and early 80s. The new Golf GTI is expected to deliver a horsepower of just under 286 bhp and would be a direct competition for Renaultsport Megane 265 while complementing the SEAT Leon Cupra. 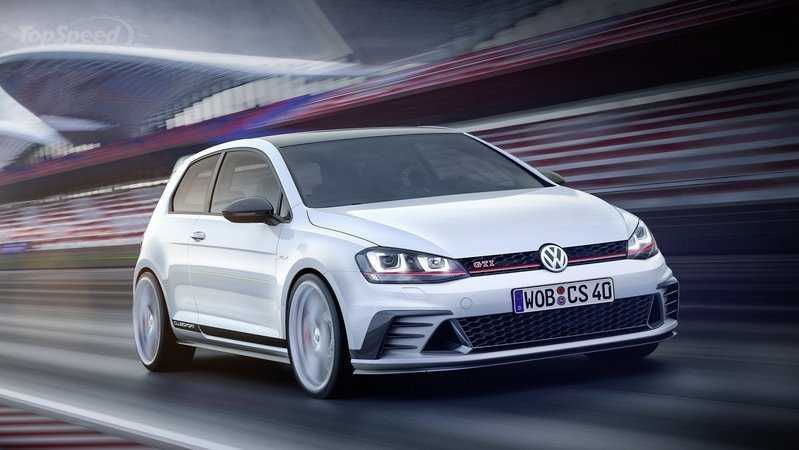 The new Volkswagen Golf GTI employs the services of the ‘EA888’ turbocharged 2L petrol engine, the same unit used in the Leon Cupra and the standard GTI, although the power is hiked up from 217 bhp to 261 bhp. The vehicle features an ‘overboost’ functionality allowing the power to be accelerated up to 286 bhp for 10 seconds bursts. While the torque output is yet to be known, car experts feel that it would be a little more than the 350Nm output of the standard GTI. The new Golf which features the 6-speed DSG auto-transmission can accelerate from 0-62 mph in 5.9 seconds. The changes in the front include the visibly bigger honeycomb-style air intake flanked by dual trapezoidal air ducts right next to the brake cooling vents. A jutting rear wing and a front splitter add to the ‘mean aggressive’ profile of the hatchback. Both the wing and the splitter, finished in gloss black, are meant to improve downforce. Other profile-enhancing exterior details include gloss-black door mirrors, black graphics wrap and the side view. While 18-inch wheels are standard fitments, 19-inch wheels are available as optional fitments. An exhaust with a bigger diameter and diffuser style bumper rounds off the exterior of the new Golf GTI. The interior features new tartan bucket seats, an Alcantara steering wheel with the 12 o’clock position marked in red and exclusive stainless steel sill plates. The black headlining and red-detailed seatbelts differentiate the interior profile of the new Golf GTI from the standard GTI.